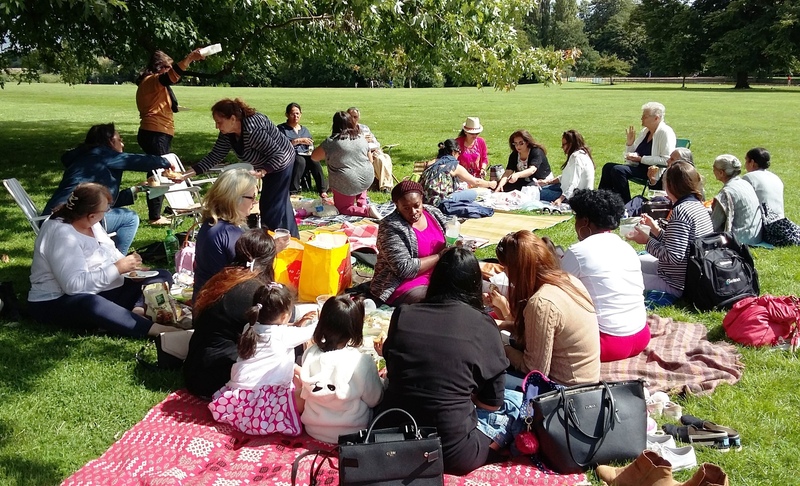 Over 25 adults and children enjoyed the sunshine at our Interfaith Women’s Group picnic in Osterley Park on 19th August 2017 when the chat and food flowed. ‘Does this happen every year?’ was the question, to which the answer must be yes! 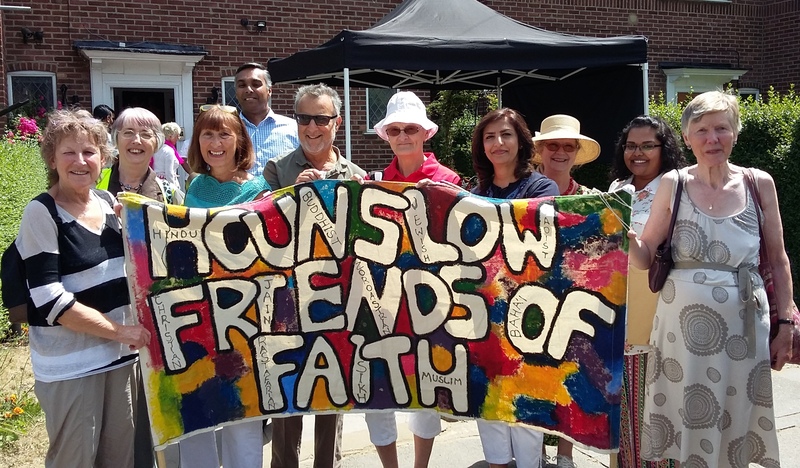 Some people had enjoyed the Walk earlier in the summer, some were regulars at the Knitting Group while others again are active with Refugees Welcome Hounslow for which HFOF is a founder member and sponsor. Afterwards a group went for a walk in the park and others made the most of the buggy transport along the drive. 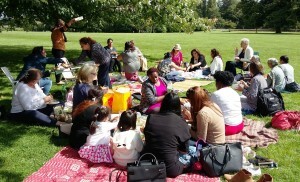 Meanwhile the next sessions for the group will be in Feltham on 16th September at 4pm and 2nd October at 7.15pm. Hold the dates, details to follow in our events section. What can we learn from the leaders of the great religions, even if we are not of that faith? 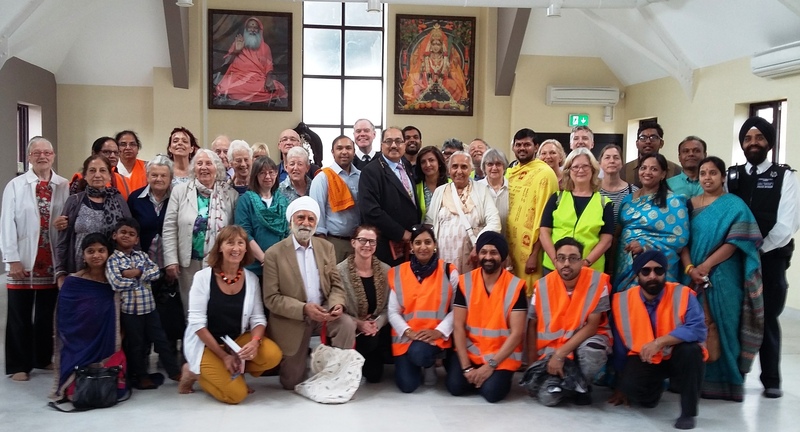 Rev Dr John Parry, a United Reformed Minister who has studied Sikhism for over 30 years, shared his insights with a well attended multi-faith audience at the Gurdwara Sri Singh Sabha in Hounslow on 13th July. Guru Gobind Singh was the 10th and last spiritual leader and the founder of the Khalsa, the Sikh community, in 1699. He was a man of vision, commitment and organisational skills, but also of humility. Although he inspired sacrifice from Sikhs as they stood up for their faith against the Mughal emperor, he also saw humanity as one. He distinguished between the political form of a religion and faith itself for the individual. John Parry discussed the value to a faith of scriptures, the understanding of the concept of God and the obligation of service to others. 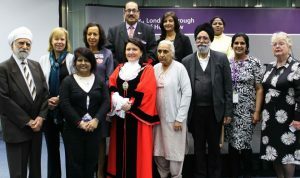 It was Guru Gobind Singh who installed the Sikh scriptures as the final guru, always available and central to the life of the community and the family. He saw the concept of God as too great for the human mind to comprehend. This inability to comprehend God fully has a parallel in Christian St Paul’s words ‘through a glass darkly’. Humans should always be selfless and give service to others. This talk presented something new and different, a real soul searching for those who are at the chalk face of interfaith activities, having to deal with histories of strife between faiths and yet finding a way forward together as one diverse humankind. The photo shows John Parry and his wife receiving a thank you gift from Chair of HFOF Charanjit Ajit Singh. 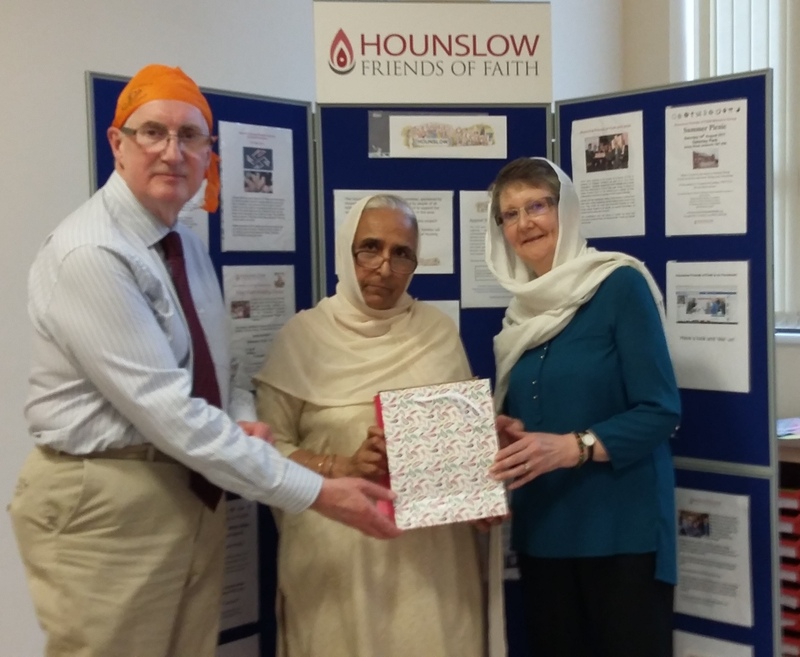 Earlier John had presented a copy of his book ‘The Word of God is not Bound, the encounter of Sikhs and Christians in India and the UK’ to Mr Gurmeet Singh, President of the Gurdwara. 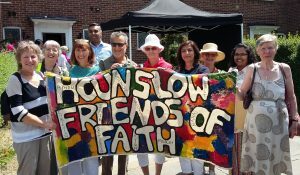 Our annual Walk of Peace and Friendship took place this year on 1st July in Brentford and Chiswick. 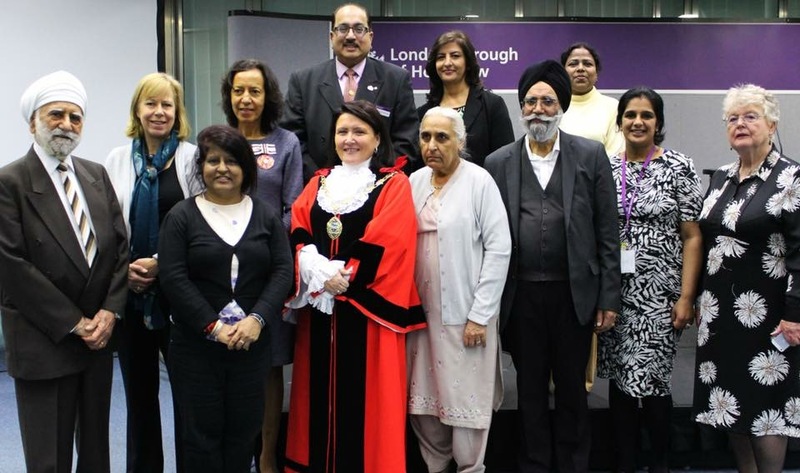 This enjoyable event was our regular opportunity to visit different places of worship, hear informal talks about faith and share with people from different communities in our richly diverse borough. 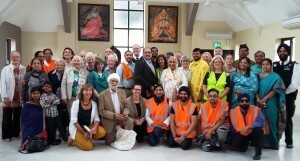 We met at 11am at the Hanuman Hindu Temple in Beech Avenue in Brentford. This centre opened officially this year after extensive building and renovation work. Their particular interest is Hindu spirituality through yoga and music. We heard about the meaning of the beautiful carvings on the main doors and the shrines where the priest gave aarti, a Hindu prayer. 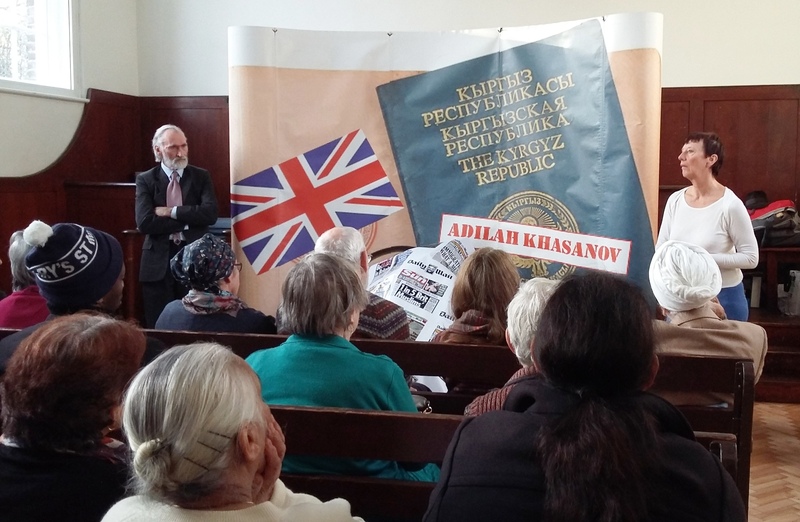 A short bus journey took us to Gunnersbury to the Russian Orthodox Cathedral in Harvard Road in Chiswick where we had a most delicious lunch. The church is the cathedral for the diocese of the Russian Orthodox Church Outside Russia (ROCOR), with communities on the territories of the UK and Ireland. We learnt about the very beautiful icons in the upper and lower parts of the church building and the priest gave a blessing. From there the Walk continued to Christ Church, Turnham Green in Town Hall Avenue, a lively Anglican parish church. We heard about the range of their activities using their building in the heart of community and the value they find in prayer. The final venue was the London Buddhist Vihara in The Avenue. The Vihara has a resident community of monks from Sri Lanka and is a leading centre for Theravada Buddhism. Founded in 1926 by Anagarika Dharmapala, the Vihara was the first Buddhist monastery to be established outside the continent of Asia. It moved to Chiswick in 1964 and has been in its present building since 1994. We heard about the value of the Buddhist way and heard uplifting Buddhist chanting. Thank you to all the places of worship who took time to open their doors to us and to the enthusiastic walkers who took part on the day.